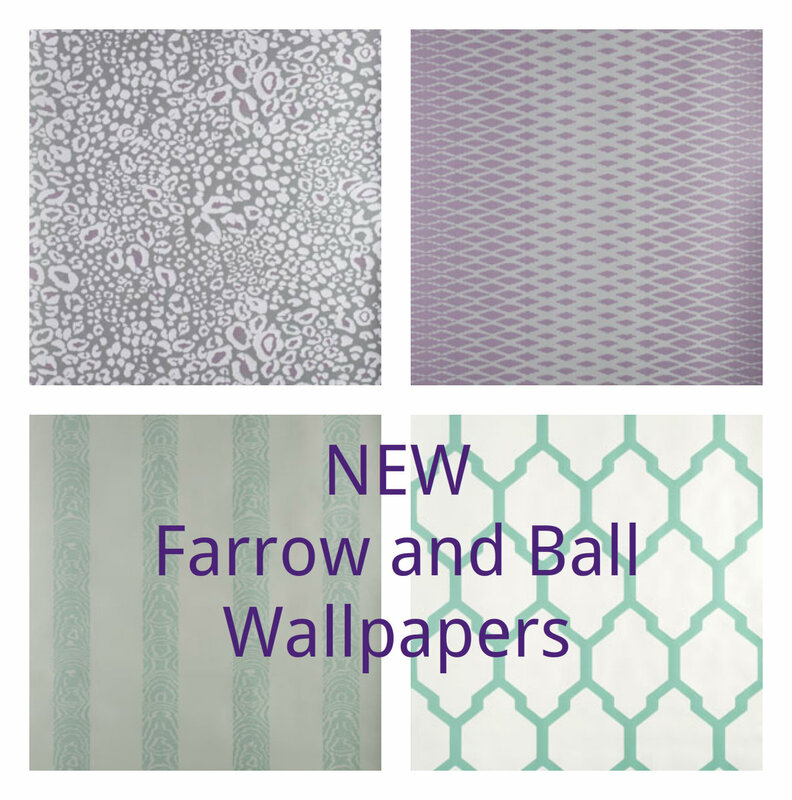 I can’t tell you how excited I am about the new Wallpaper Range from Farrow and Ball – I just love it! Four new wallpapers, all fabulous, contemporary and really quite cool, incorporating animal prints and geometric patterns. No minimum order on these like other F&B Wallpapers either (you normally have to order at least 3 rolls) so they are perfect for small feature walls or areas like your alcoves. Each of the four prints is available in five different colourways. Amazing choice! 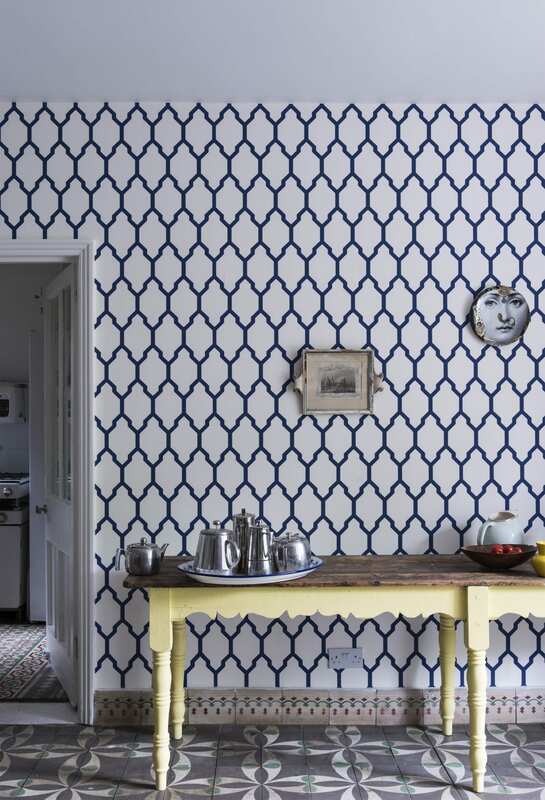 A gorgeous striking geometric print which appears almost hypnotic as it rises up the wall. Taken from the 19th Century F&B archives. £78 per roll makes it an investment paper but one well worth it! An elegant geometric print, that’s bold and dramatic. Great as a feature wall but subtle enough to for the whole room too. Don’t forget Farrow and Ball wallpapers are made in their own factory using the classic F&B paints, so you’ll get an accurate co-ordinated look if you’re looking for it. £78 per roll. 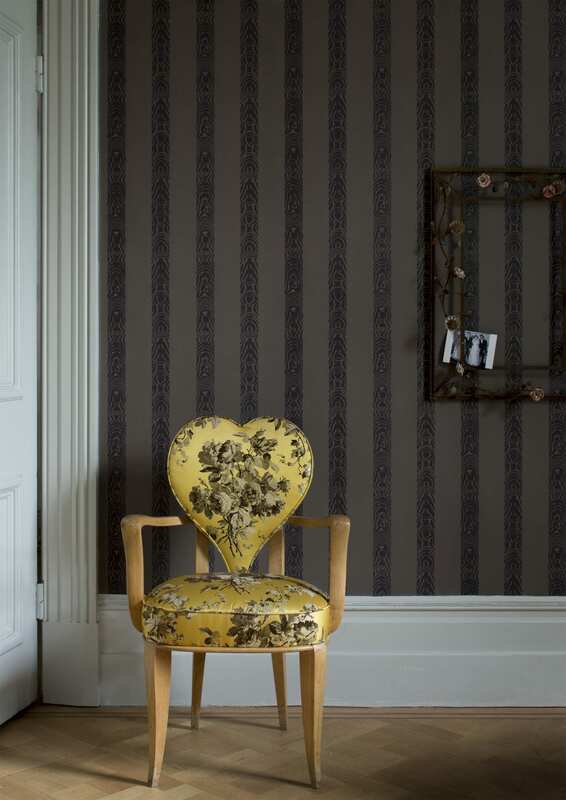 Another from the Farrow and Ball archive, this tiger print stripe is very contemporary yet will appeal to your classic side too. Very clever really, a print in the usual 5 different colourways that will gain fans from every corner. £85 per roll, no minimum order. 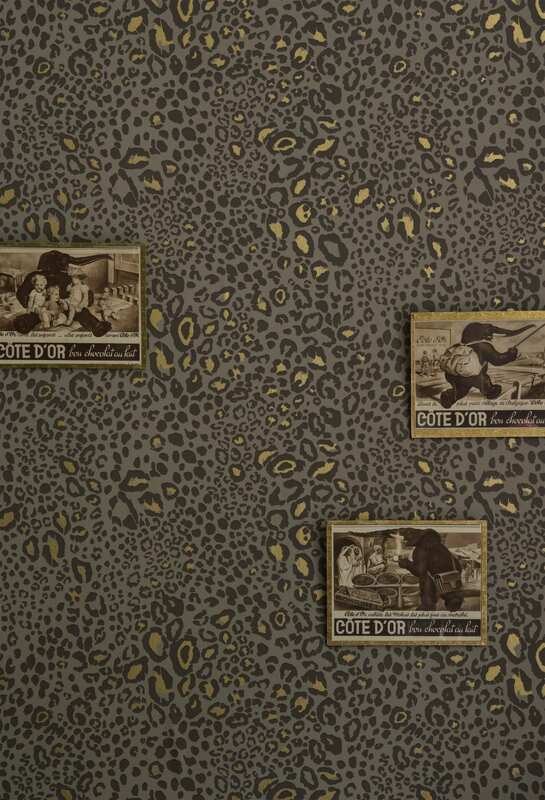 I was surprised, but thrilled to see an animal print wallpaper in the new Farrow and Ball range. I really didn’t expect that. It’s fun and quirky, modern yet quite timeless. I just love this one, my absolute favourite of all four. 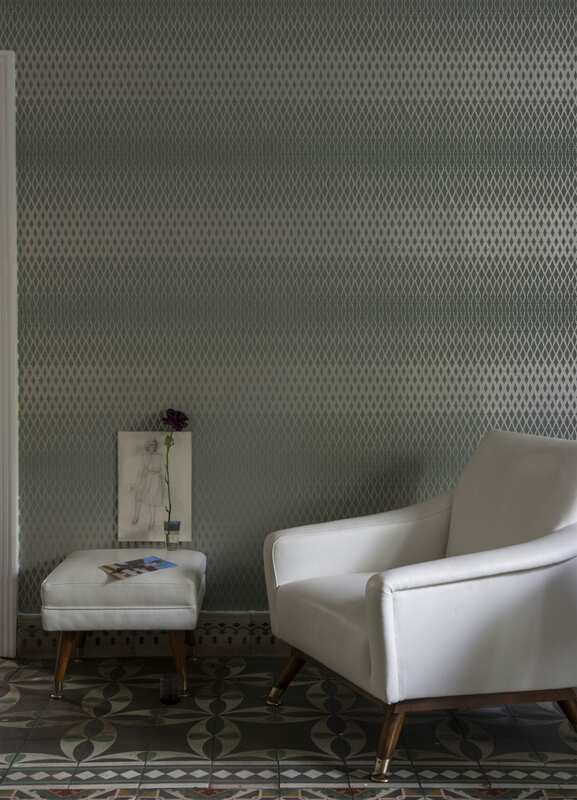 At £85 per roll it’s a fabulous feature wallpaper, yet subtle enough for the whole room. So, what do you think? Do you have a favourite? What do you think of the prices? All these gorgeous wallpapers are available from Farrow and Ball. Free samples are available too. Tesella, definitely! I think at the end of the day, like most things you pay for quality, and that’s definitely what you get with Farrow Ball. My decorator, starts the living room on Monday….I wonder how quick they could get a couple of rolls of that to me 😉 Lovely post! Absolutely you are paying for quality and craftsmanship. Today I’m favouring Ocelot I have to say, worth checking out the different colourways on the website too! I love the second one, its gorgeous. I definitely think its worth the money too. I love the look of both Lattice and Tessella. I wouldn’t have expected Farrow and Ball to do an animal print wallpaper either – personally it’s not one I could live with, but it’s always good to see what new designs are available.